The world’s finest police force is collapsing around us. Cuts, scandals, looming privatisation and the politicians throttling the life out of the British Bobby. The organisation is being brought to its knees and experienced copper Alfie has had enough! 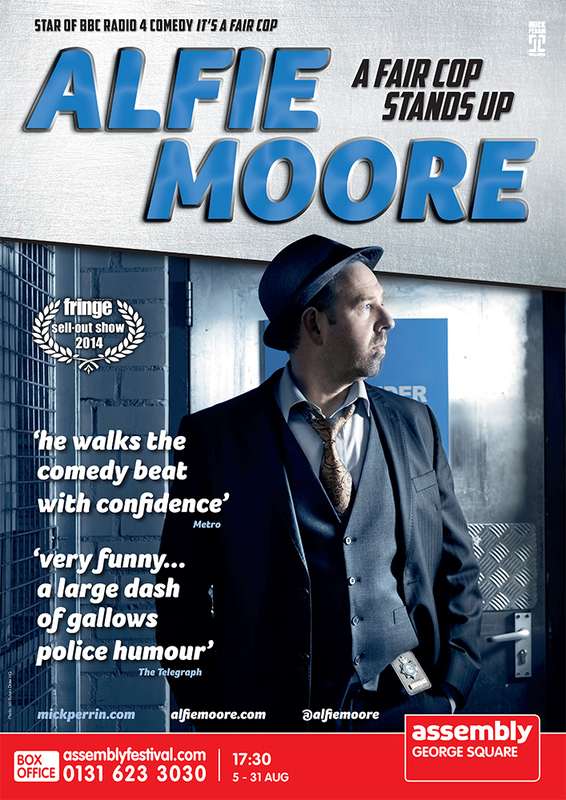 Cop-turned-comedian Alfie Moore, star of BBC Radio 4 comedy ‘It’s a Fair Cop’, returns following his 2014 sell-out Edinburgh with a dynamic and hilarious show. He is back to doing what he does best – tackling difficult subjects with his own unique brand of intelligent socio-political humour. Alfie says “The organisation that I care passionately about is at a tipping point. It’s time to fight back and so I’ve got a little plan to resuscitate the thin blue line…..” . He certainly has – a little plan to radically change the face of British policing for ever! A brand new show that’s sometimes shocking, often thought-provoking but always funny.